17 1/2" x 6" x 6 1/2"
$950 Click here for payment information and shipping quote using item #. 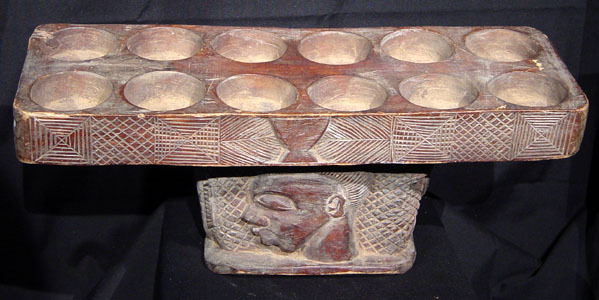 Warri is an ancient game that is played using shells placed in the cups of the board. Warri game boards were found in Egyptian tombs dating as far back as 1600 BC.